Sonoma County’s longest permitted dispensary, is hosting an educational seminar regarding Prop 65 warnings and labeling requirements for the Cannabis industry. This will take place on Friday, October 26, 2018 starting at 10am with a 2-hour seminar followed by lunch and networking opportunities until 2pm, taking place at the Hyatt Regency in Santa Rosa. We are excited for attendees to have the opportunity to meet other licensed cannabis entities and professionals throughout the cannabis industry. SF Examiner (October 25, 2018) Nearly a year after cannabis regulations were adopted by the Board of Supervisors, debate has resumed over proposed changes to the equity permit program, where more than 100 applications sit pending approval. The equity program is meant to provide reparations for those impacted by the policing practices of past decades that disproportionately impacted people of color in low-income neighborhoods through enforcement of drug laws. In regulations passed late last year, the board allowed existing medical cannabis dispensaries to start selling recreational cannabis and agreed to permit new locations if they were “equity applicants” who meet certain criteria, such as having been arrested for selling cannabis between 1971 to 2016. To date, no equity applications have been approved by The City, but 109 are under review. Forbes (October 23, 2018) Hemp, the non-psychoactive variety of the cannabis sativa plant, is already being integrated into several mature markets such as food, textiles, construction, personal care and nutraceuticals. This relatively quiet cannabis relative is emerging as a potential commodity ripe to not only impact, but possibly revolutionize, tech-driven markets and economies around the world. In 2014, I founded New Frontier Data, an analytics and business intelligence reporting group dedicated to the global cannabis industry, after more than 20 years in finance, industry analytics, intelligence reporting and emerging markets. As such, I have had the privilege of following hemp’s emergence and evolution. Half a decade later, this robust, environmentally friendly, low -cost-to-produce plant has become one of the most diversely applied and globally significant natural resources in the world. PR Newswire (October 25, 2018) According to data compiled by Hemp Biz Journal, a division of New Frontier Data, the U.S. hemp industry sales grew to USD 820 Million 2017 while growing by 16% within the year. The U.S. hemp industry is projected to grow to USD 1.9 Billion by 2022 and grow at a CAGR of 14.4%. The market was mainly driven by hemp-derived products, which drove in USD 190 Million in sales. 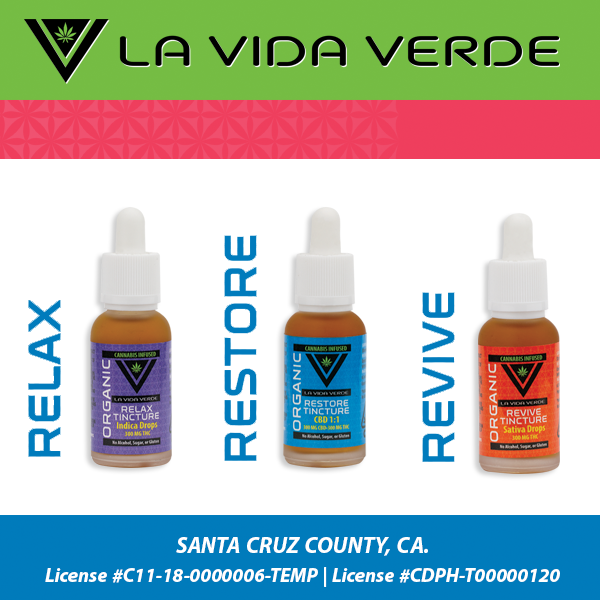 The market is projected to grow due to continued demand for CBD-based products as well as the demand for food, personal care and industrial segments. Time (October 25, 2018) Marijuana, both medicinal and recreational, is growing more mainstream. Medical marijuana is now legalized in a majority of states, and 62% of Americans support legalizing it outright — but in the political realm, the plant has long been controversial. Now, a new documentary called Weed the People, which opens in some theaters in October, explores the potential of medical marijuana for childhood cancers and the regulatory hurdles facing people who want to use cannabis. 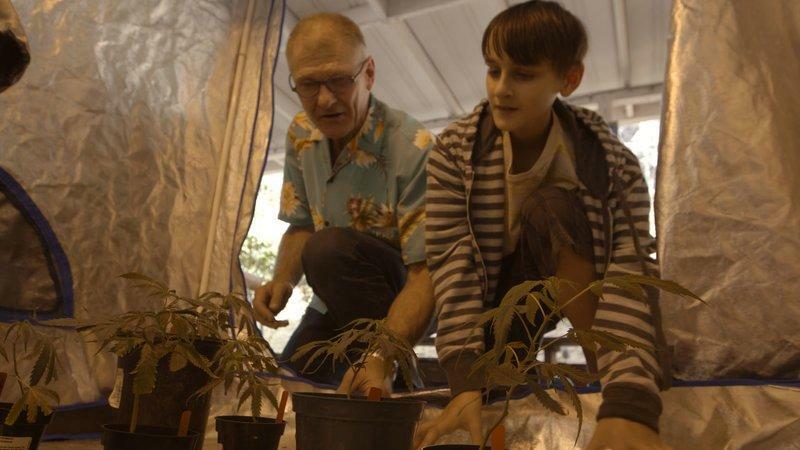 The film, which was executive produced by former talk-show host Ricki Lake, follows five families using cannabis oils to treat pediatric cancers. Some of the children used cannabis alongside treatments like chemotherapy, while others turned to the drug after conventional treatments had failed. Weekly Standard (October 25, 2018) A blue wave in November could yield some leafy green marijuana plants. Marijuana activists say legal weed seems poised to take a big step forward in next month’s elections. In addition to more permissive marijuana laws being on the ballot in four states, Democratic control of the House of Representatives could help spur a new law protecting pot in the states that have already legalized it. Nine states and the District of Columbia allow recreational use, and another 20 allow marijuana for medical purposes. “If this does turn out to be a progressive wave year, that probably helps with all of these initiatives,” says Kris Krane, president of 4Front Ventures, a multistate cannabis retailer based in Phoenix. New Haven Register (October 26, 2018) The cannabis market has been a boon for entrepreneurs in Colorado, Oregon and Washington, but the winds of change are starting to blow. For those businesses that are “just getting by” it will soon be time to face reality. Walk into any retail cannabis outlet and you can see it yourself — there are way too many weed brands to choose from today. As a result, there is constant chatter on the street about a massive wave of consolidation coming our industry’s way. It makes sense. In the West Seattle area alone there are over 20 retail shops! Forbes (October 25, 2018) Vertical Co. legally cultivates, extracts and distributes cannabis and cannabis-related products in Arizona, Oregon and California. On a growth path, the company recently hired three directors which, combined, have more than 40 years experience in consumer packaged goods, beer, wine and spirits: Jevon Lake will serve as Vice President of Sales; Nelson Giacommeto and Kevin Henry will serve as Directors of Brand Management. Lake brings to cannabis 20 years experience in beverage alcohol sales management, including Anheuser-Busch Inbev, E&J Gallo, William Grant & Sons and Pernod Ricard USA; Giacommeto offers 15 years experience in luxury and premium brands, including LVMH and Pernod Ricard; and Henry boasts seven years experience as National Director of Brand Development in the MillerCoors family, among other alcohol brands. WXYZ (October 25, 2018) When Colorado legalized marijuana six years ago, they called it “the green rush.” There was the rush to grow it, the rush to buy it and, of course, the rush to make money off of it. “You just can’t beat the money,” one Denver resident told 7 Action News earlier this month. “The people that can afford it and what to use it are paying the taxes and it’s going to very good things, including our schools.” South Broadway in Denver is known as the city’s Green Mile, with 16 dispensaries there alone. In fact, throughout Colorado, there are more marijuana dispensaries than there are McDonald’s. Financial Post (October 25, 2018) Shifting statements from U.S. border officials have prompted some Canadian cannabis industry players to think twice about travelling south of the border, just weeks before a significant pot industry conference in Las Vegas. A spokeswoman for U.S. Customs and Border Protection said that even if a Canadian traveller’s business does not operate in the U.S., they could be denied entry if their travel activities are cannabis-related. In the lead up to legalization, a statement in September by U.S. border officials had indicated that Canadian pot industry workers risked being banned or denied entry. Earlier this month, U.S. CBP updated its statement, saying that Canadian cannabis industry workers would “generally be admissible” if travelling for leisure. CBC (October 25, 2018) An Edmonton medical cannabis consumer is concerned about quality control in the industry, after she experienced unexpected side effects from familiar strains of cannabis she received from two licensed producers. But Health Canada, doctors and industry insiders say producers face some of the most strict regulations in the world, and say Canada’s legal cannabis is safe. Joan Kapuscinski​ has chronic pain due to fibromyalgia and insomnia. Before she started consuming cannabis a year and a half ago, she was sleeping just an hour at a time. Kapuscinski, 60, was initially reluctant to try cannabis. But she had negative side effects from pharmaceutical drugs.